Composite front and back doors for homes, available in a vast range of colours and styles. Our standard composite door range offers the largest and best choice with incredible value. We also offer solid timber composite doors and FD30 fire rated composite doors as well. 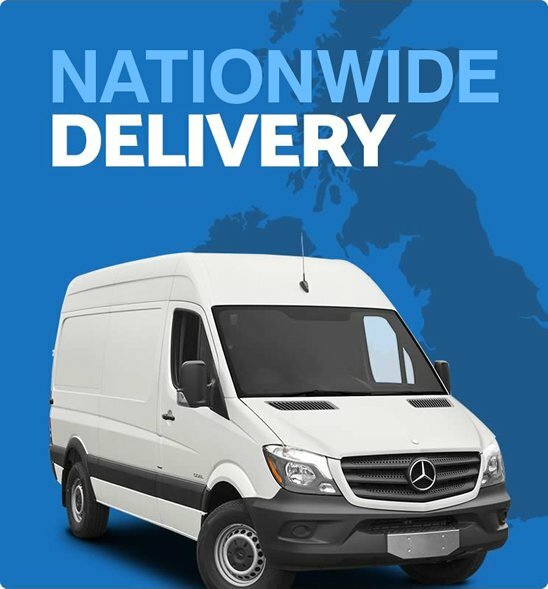 Prices starting from only £594.00 All our prices include VAT Delivery is FREE! 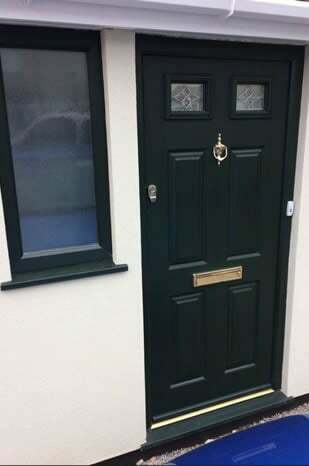 Why choose our Composite Front Doors? We know you want your composite door to serve you trouble free for many years to come. That's why Just Value Doors only use the best quality materials available. 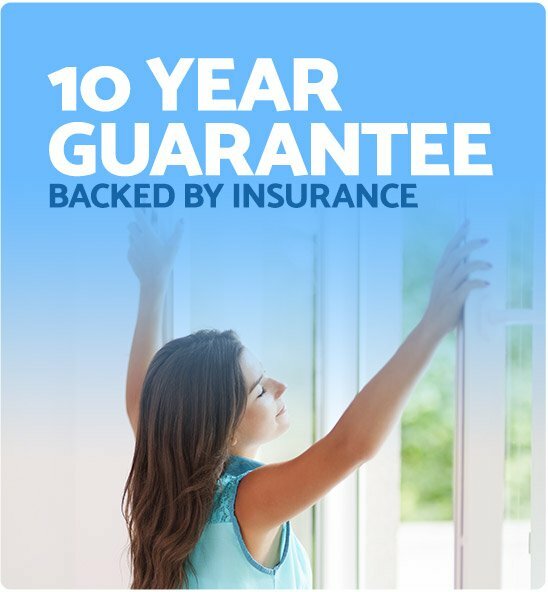 A new composite back door is a serious investment - and one you want to get right. To operate correctly through the years ahead, composite front doors must feature high-grade components including; hardware, locks, gaskets and more. Check out some of our composite door reviews, they speak for themselves! Certain composite door suppliers offer cheap composite doors, however be wary of quality. For instance, some use a cheap outer-skin which does not have a wood-grain effect like the version we supply. Bear differences like this in mind when comparing composite door prices. These are our flagship range, offering by far the widest range of styles, colours and options. 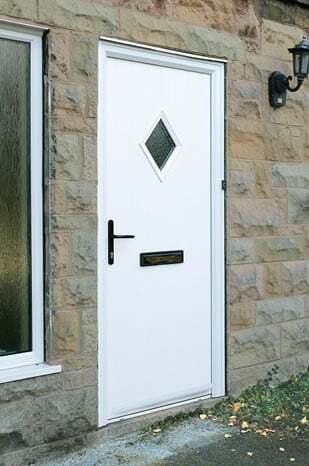 If you are looking for a great value high quality composite front door then check out our standard range. With 44 unique styles styles available, a vast range of standard colours including any customer RAL colour, including the door and frame, inside and out, there are virtually no limitations in the customisation options to you. The standard range is also the most thermally efficient when compared to the solid or fire range. External composite doors get their "composite" name from the materials used in the makeup of the door slab. 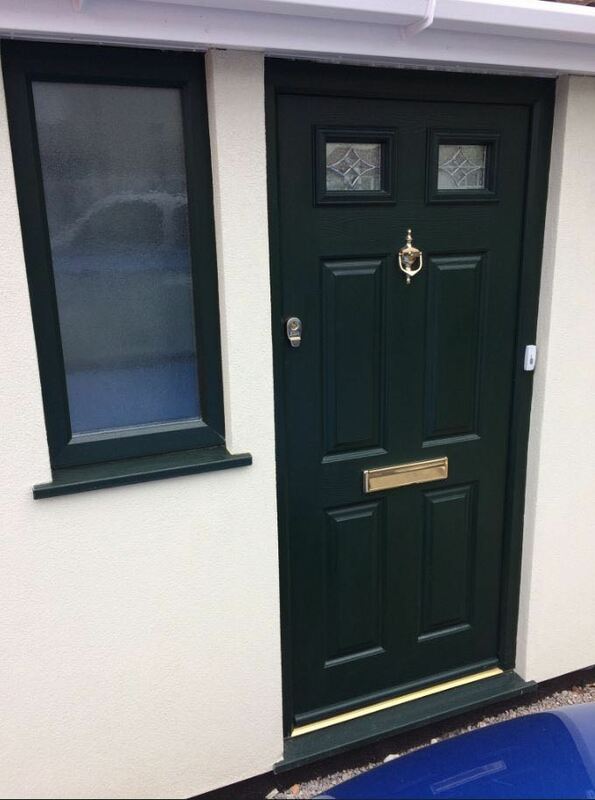 There are some variations available but usually high quality composite front doors UK (including ours) are made up of a hardwood timber sub-frame, and then filled using a high-density composite material which forms the core. It's then finally covered with a tough wood grain effect outer skin. The tough outer skins are added to both sides of the coloured composite door. The skins are colour bonded so that chips and scratches are less noticeable. Even deep marks can easily be remediated using a touch-up pen. As a UK composite door manufacturer we know security and strength is paramount. That's why our composite door shop has tested all products destruction. Some styles comply with the Secured By Design standard making our bespoke composite doors amongst the most secure available in the UK. 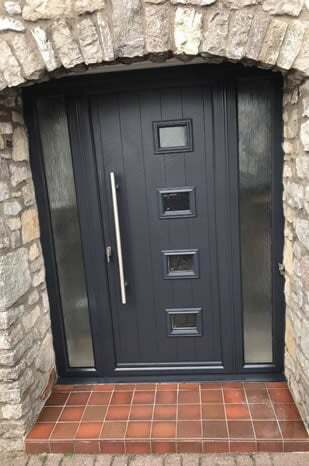 In terms of strength and security we feel we offer the best composite doors prices available. We fit a multi-point locking system as standard; when a composite door lock is engaged there are 3 hook bolts, a deadbolt and latch all in operation simultaneously, making entry virtually impossible. 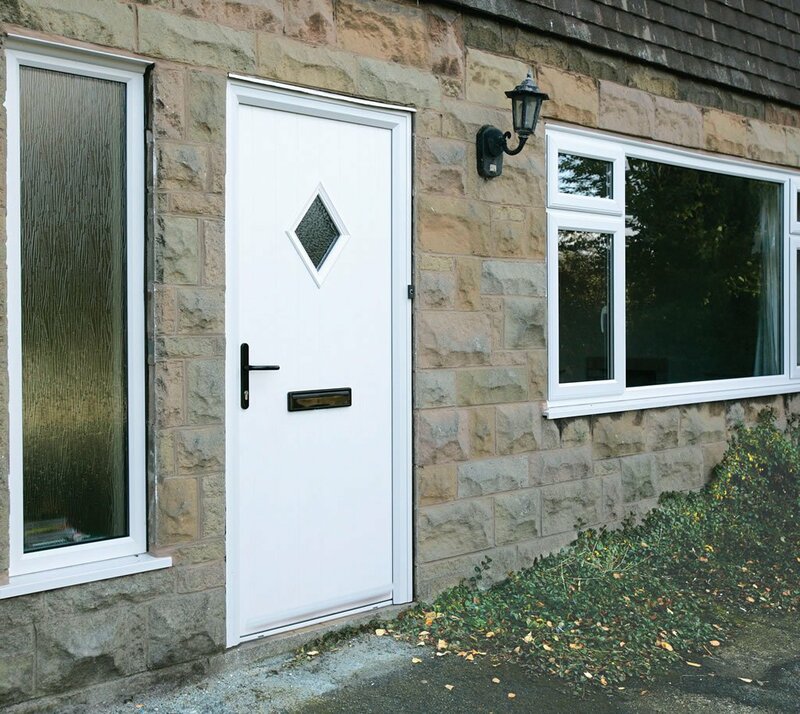 Our contemporary composite front doors offer a vast range of side panel options including matching composite and uPVC panel options. The panel ranges are an exact match to the door including the glazing, and will be joined at the same height. Glazed panels in any window style are joined to the door and we supply the joining coupler needed. All our composite door styles are highly energy efficient and proven to keep in as much as 8 times more heat than a traditional timber door! Fitted correctly, they offer excellent thermal properties. To improve the thermal efficiency of composite doors even further, simply select the thermal upgrade option to uprate the glass. The small additional cost will be offset over time by heat savings. 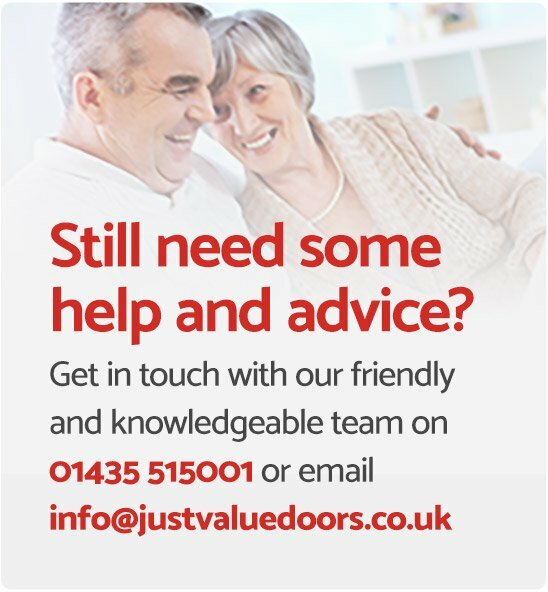 Just Value Doors is proud to offer a wide selection of composite door colours to suit your taste. We offer a range of 11 standard colours and also give the option to choose any custom RAL colour. The standard range includes: White, Red, Green, Blue, Black, Light oak, Dark-wood, Chartwell green, Cream, Anthracite grey and Duck-egg blue. With the custom RAL range exceeding a choice of over 8,000 different options, you'll be sure to match your favourite colour. 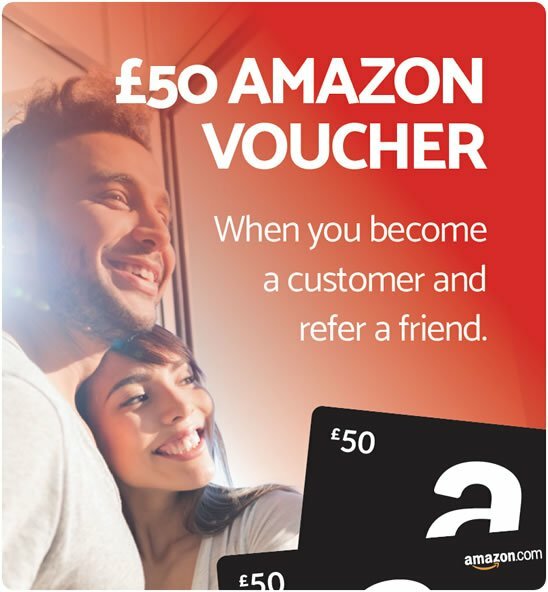 How will my composite exterior door kit arrive? Please remember this only applies to "supply only orders" as we offer a composite door fitting service. Your new composite door will arrive pre-hung in the outer frame and be packaged ready to fit. The contemporary composite door set will only need the handles screwing on as all the hardware and lock is pre-fitted in the factory. Find out more in our door fitting guide. 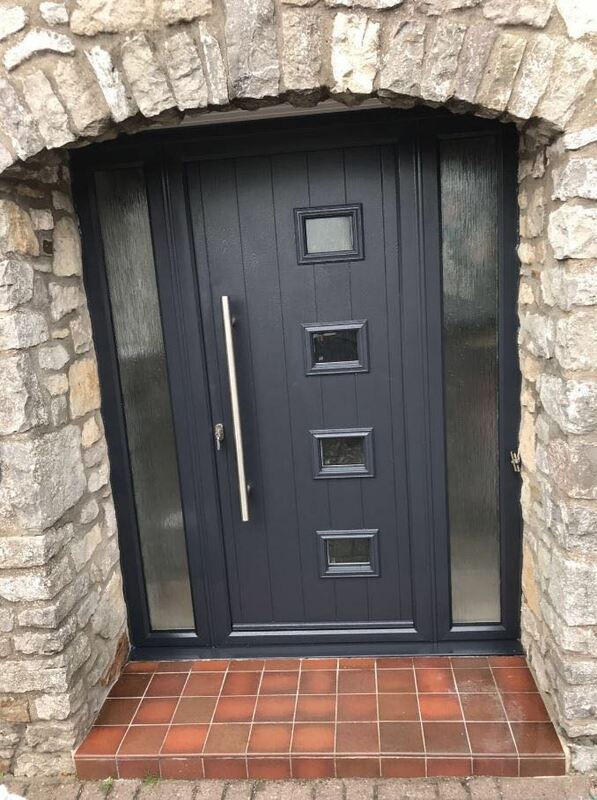 If you require any information relating to composite front doors UK, please don't hesitate to get in touch with one of the team who will be happy to help.